As the world of business becomes more complex, disruptive and automated, the quality of business communication seems to diminish. In fact, many organisations convey the impression that they can’t spare the time to talk but if you’re still interested just leave a detailed message and they’ll get back to you eventually. Therefore, it is most encouraging to learn that Margrith Appleby’s strategy to gain a competitive edge for her business is to establish it as the easiest to deal with in its market category. 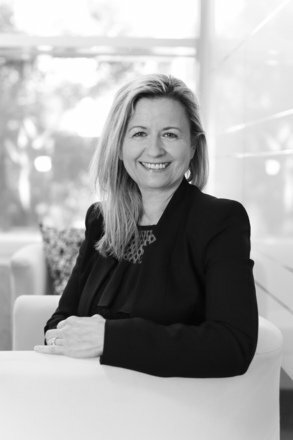 For almost a year now, Margrith has been the General Manager of Kaspersky Lab operations in Australia and New Zealand, dedicated to building local business for one of the leading global players in cybersecurity. What type of business leadership encourages staff to perform at their best? The type that’s the easiest to engage with like Margrith. Whether you’re a customer, a channel partner or a member of staff, you’re more inclined to favour the contact with whom you can readily engage and who thus saves you time, money and tribulation. These days that’s a very welcome but unaccustomed benefit and constitutes a competitive edge that once established is very difficult to match. Creating an organisation that everyone goes to first is not that easy. It certainly doesn’t mean you’re a pushover who says “yes” to everything. Rather it means you’re decisive, responsive, know your stuff and communicate effectively. Identification and inculcation of the essential balance and skill demand the expertise and experience of a consummate business leader like Margrith. She feels very much at home in the vibrant and supportive Kaspersky Lab corporate culture. It combines the resources and know-how of a large multi-national with the enterprise and flexibility of a relatively small local operation and it readily embraces her leadership style. She strongly believes it is the special combination of characteristics, world class technology and limited local size that makes Kaspersky Lab the ideal supplier of cybersecurity to smaller business operations and start-ups. Margrith is also a firm believer in the premise that business customers are easier to deal with at certain times in their operational cycle. She plans contact scheduling customer by customer, to ensure as far as possible they are ready to contribute to co-operative business meetings just as much as Kaspersky. She practises an inclusive style of management because she is keenly aware that everyone at Kaspersky Lab has the potential to produce the next great idea. She applies one rule rigorously: always act with integrity, because lack of it invariably creates a fault-line that won’t stay hidden forever. Margrith is adamant that management talent is distributed evenly between men and women. She is convinced that any organisation who disagrees with that premise imposes a significant handicap on itself. If you are seeking fast, productive engagement with a supplier of cyber security products, you would undoubtedly appreciate the unique Margrith Appleby style of engagement at Kaspersky Lab. Margrith believes that our actions inspire others to collaborate and learn more about an organisation, product or service. Once this is at hand, the ease of doing business takes the lead. Kaspersky Lab is a global cybersecurity company, which has been operating in the market for over 20 years. Kaspersky Lab’s deep threat intelligence and security expertise is constantly transforming into next generation security solutions and services to protect businesses, critical infrastructure, governments and consumers around the globe. The company’s comprehensive security portfolio includes leading endpoint protection and a number of specialised security solutions and services to fight sophisticated and evolving digital threats. Over 400 million users are protected by Kaspersky Lab technologies and we help 270,000 corporate clients protect what matters most to them. Learn more at www.kaspersky.com.au.